As my internship comes to an end at Oxford Consultants for Social Inclusion (OCSI), I felt it was time to reflect on the value of internships; specifically with OCSI. Why are they worth doing? What will you gain doing one? What experiences will you encounter? What does it achieve? When I left university I was bright eyed and excited to kick start my career. My lecturers had emphasised the importance of gaining professional work experience alongside academic studies. I took this message on board and volunteered in various roles throughout my 2nd and 3rd year. This was great because I learnt to balance my priorities and also respect my commitments. After graduating I was eager and started applying for numerous jobs (which with hindsight, I was nowhere near qualified enough for) with no luck. Many of my friends had experienced the same disheartening rejection, a far too familiar story for many graduates across England. It seemed that entry level jobs had been replaced by internships; some paid, some not. Thankfully, I was lucky to get a paid internship with my local council. I see my first internship as especially valuable because I gained my first taste of working 9-5, 5 days a week, and I was earning a pay check at the end of each month. Ultimately, I was able to gain experience in a professional environment, build up skills beyond my degree and the confidence to make the next step in my career. 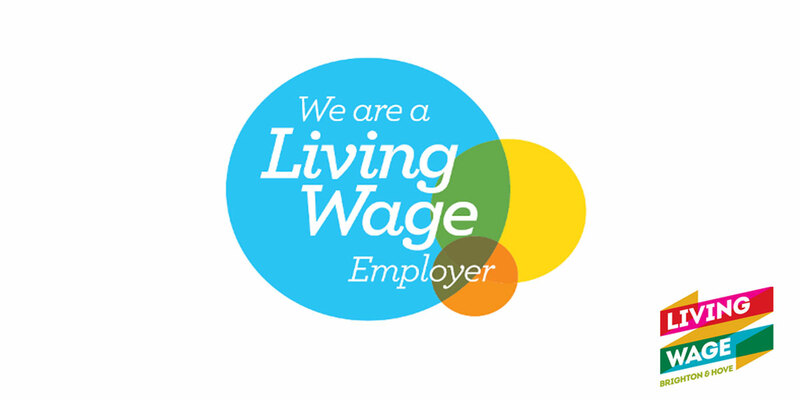 After browsing various job sites, I came across the Wired Sussex Interns Placement Programme, who were advertising for a Marketing and Communications living wage Intern on behalf of OCSI. OCSI is a social research consultancy, built on open data, working with the community and public sector to make better use of data. After gaining strong knowledge of the public sector and local government in my first internship and communications experience during my academic placements and voluntary positions, this seemed like an attractive post. I jumped at the opportunity to put my knowledge to the test whilst largely expanding my skills! What new experiences have you enjoyed most at OCSI? I have really enjoyed the positive approach to internal communications at OCSI. We are a small team made up of researchers, developers and communications so we often find ourselves immersed in different work, but we recognise and emphasise the importance of joining up communication across all teams. Our morning stand-up meetings are just one of the many communication methods we have adopted. Each morning at 10, we gather in the centre of the office to listen and articulate what projects are being worked on that day, what we achieved the day before, raise any other queries, and have a general catch up. It’s a great way to stay in the loop and just nice to hear about other projects other than your own. Also, instead of clogging up our email inboxes, we use Slack for instant messaging throughout the day. Additionally, the OCSI development team work using agile methodology, and we have incorporated aspects of this methodology into our across team communication. The goal of agile working is to create more responsive, efficient and effective organisations based on a more balanced, motivated, innovative and productive team. Part of this involves holding a retrospective every two weeks with the aim of reviewing how we’ve been working, reflect on our processes, and look for ways to improve our work. This is great opportunity to talk to each other about our approach to work in an inclusive, jargon-free environment where no idea is a bad idea. We also have a table football. Which is great fun when you need a screen break. What do you feel is most valuable about internships? One word; confidence. Although University prepares you with knowledge, an internship takes it that one step further and sets you up with skills. I now feel I have confidence to demonstrate my knowledge and skills to potential employers. What advice would you give to people looking to do an internship? Do it! Approach it with a positive, open mind and challenge yourself. Many employers use internships as a trial period and will already have plans to recruit on a permanent basis, so show your enthusiasm, flexibility and willingness to learn. Put those skills you gained at university to the test. Prospects – This is a great resource, not only does it have a wealth of advertised internships, it also has approximately 400 job profiles which you can use to help you make an informed career choice and find out what’s involved in a wide range of jobs. Graduate talent pool – This is a new service that matches graduates with internship opportunities. Check out the careers advice section too! Wired Sussex Internship programme – This is highly recommended for those looking to get a start in the digital, media and technology sector in Sussex, UK. Or ask the careers hubs at your University. They often have good relationships with local businesses therefore a pool of potential internships! Also, here’s a handy guide to internships by the Guardian – make internships work for you. Why would you recommend an internship to others? I have been fortunate with internships as my experience has been truly positive, the right internship is a great opportunity to get experience with a company that also give you something in return. Internships may lead to other internships and so on but eventually, they will pay off; I am now a permanent member of OCSI. Like the idea of interning at OCSI? We are on the look-out for a researcher for a 10 week full-time internship. Could this be for you? Take a look here.